Whilst the world wakes up to how damaging plastics are to our environment, we question what a world without industrial waste would look like. What if we only used locally abundant nutritious materials such as hair and food waste to create our products? What if we viewed materials as nutrients circulating in healthy, safe metabolisms instead of future landfill? In this series we look at the different ways to tackle the waste that suffocates our planet; through clever system design, products that ‘give back’ to the earth and engaging consumers to take an active role in repurposing waste. This exhibition showcases designers who use waste material as a starting point and offers an alternative view to waste as untapped abundant resource to be harnessed. At the core of any making process, materials define the limitations of design, raise questions around social and ethical manufacturing processes and create the primary interface between us and our experienced world. 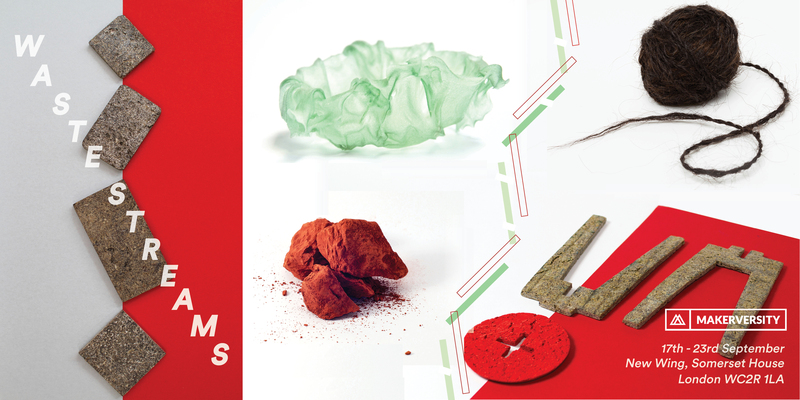 In this inaugural event, Makerversity explores Waste Streams and takes a closer look at how innovation in materials and processes is disrupting what we make and how.